Bruce Butterworth, founder of Contract Design Associates (CDA), passed away on his 64th birthday, November 4, surrounded by his family. Bruce and his wife Jill started their business in April of 1980 and grew the company into a major regional office furnishings business with locations in Spokane and Missoula. He retired in January of this year. Bruce was a graduate of Ferris High School and attended Washington State University. He was one proud Cougar! And he was a passionate supporter of the Spokane community. He was a member and board member of Rotary Club 21 and a Paul Harris Fellow. He also served on Washington State University's Academic Board. 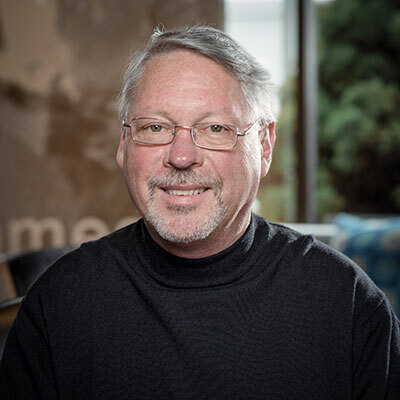 Bruce had a deep appreciation for Spokane and was dedicated to the development of a vibrant University District, in the neighborhood of his business at 402 East Sprague. He was an active board member of the University District Board. A Celebration of Life will be held Saturday, November 17, 3-8pm at the McGinnity Room, 116 West Pacific. The Spokane Humane Society's 19th Annual Furrball Fundraising Gala is this Saturday, November 17, at The Davenport Grand Hotel. Doors open at 5:30, social at 6 and dinner at 7pm. There's a Silent Auction and 10 different decorated trees in a Loud Auction. All proceeds benefit the animals of Spokane Humane Society. Tickets are on sale now at www.spokanehumanesociety.org. Plus special room rates are available at the hotel. 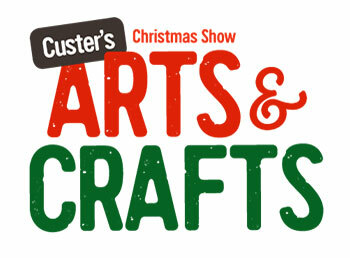 Custer's 42nd Annual Christmas Arts & Crafts Show is this weekend, November 16-18 at the Spokane Fair & Expo Center, featuring 300 Artisans from across the Northwest displaying and selling their Fine Art, Hand Craft and Specialty Foods. Art Glass, Metal Sculpture, Mixed Media, Jewelry, Functional Pottery, Photography, Clothing, Painting, Wood Working, Whimsical Signs, Seasonal Decor and and much more. 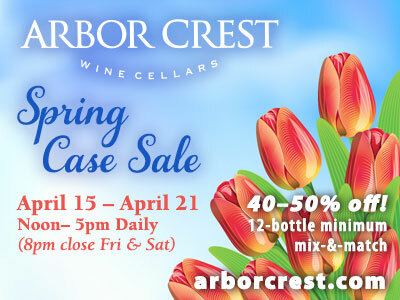 Hours are Friday 10am-8pm, Saturday 9am-6pm, and Sunday 10am-4pm. Admission is $7 for adults, good all weekend. Kids 12 and under free. Mrs. Cavanaugh's Chocolates & Ice Cream, founded in 1964 in Salt Lake City, is planning to open soon in Wandermere in a new strip mall at 513 E. Hastings Road. Mrs. Cavanaugh's offers a full line of chocolates from truffles to creams, fudge to caramels and everything in-between. They also sell many specialty items including candy bars, a variety of popcorns and a large selection of premium custard ice creams. The Coeur d'Alene Casino is ending its 25th anniversary year with a bang...and hammering, painting and moving. 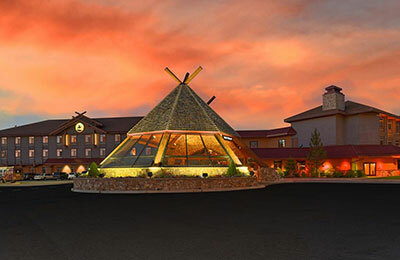 The tribal gaming property is undergoing a massive renovation of more than 65,000-square-feet of gaming and event space. The project is due to reach completion by March 2019 and will bring a larger events stage, more seating, new high limit gaming area and more improvements. Construction began in mid-October and will feature a redesigned gaming floor with décor upgrades with geometric patterns reflective of tribal designs and an LED video chandelier that can display an endless variety of patterns as well as moving imagery depicting fire, water, sunsets and more. The gaming space will receive upgraded HVAC providing 100 percent fresh air for the gaming floor and upgraded smoke clearing systems will maximize smoke removal. The remodel will introduce a new high limit gaming area and corner bar. The gaming space near Nighthawk Lounge will receive a facelift with LED lighting, decor updates. The casino's event center is being upgraded with a series of high-resolution digital media displays, new service bar, upgraded finishes and dramatic decor package. The stage is doubling in size allowing for larger entertainment acts and an upgraded guest experience. A multi-tiered telescopic platform seating system is being installed which will provide additional seating options and new vantage points. Overall the remodel will cover 68,400-square-feet of the property and is scheduled to be completed in March 2019. In the meantime, some gaming areas have been moved to allow for construction, way-finding signs are displayed and casino staff are available to help direct guests to the temporary areas. There will also be 'Coeur Zone Promotions' offered throughout the renovation. For more information about events and entertainment at Coeur d'Alene Casino Resort Hotel visit cdacasino.com. As reported by Inland Northwest Business Watch, a new office building that is coming soon on the back side if the Five Mile Shopping Center in North Spokane. Planned for construction in the spring of 2019 the new Austin Professional Building is located at 6515 N. Austin Rd. The new office complex will consist of 1 level of covered parking and 2 floors of office space all served by a central elevator. 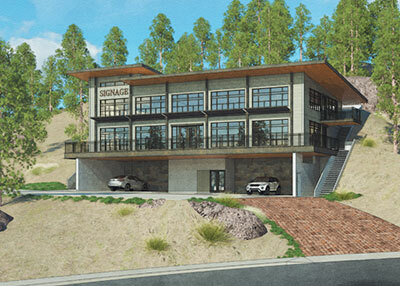 In all it will have about 8000-square-feet of total office space or 4000-square-feet on each floor. About 30 uncovered parking spaces are also included on the site which is to be completed sometime around the Fall of 2019 if all goes as planned. For information on leasing office space in the Austin Professional Building contact Brumback Inc. Commercial Real Estate at 509-924-3939 or on their website at brumbackre.com. 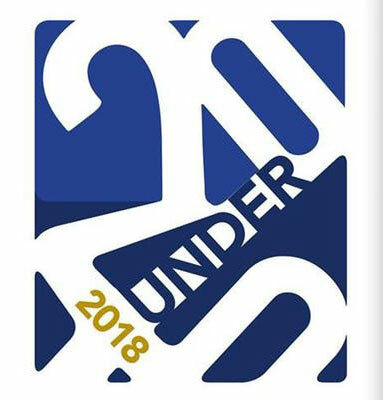 Bozzi Media and Spokane Coeur d'Alene Living magazine have announced their top 20 picks for this year's Catalyst 20 Under 40 Awards celebrating young professionals accomplishing extraordinary work in their careers and in our region. 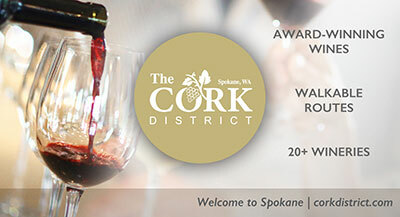 Join the awardees in a public awards ceremony at Chateau Rive at the Flour Mill on Tuesday, November 20 from 5-8pm. For more information, call Bozzi Media at 509-533-5350 or visit bozzimedia.com. Join River Park Square to welcome Santa this Friday, November 16 from 6-7pm. The festivities will feature free hot chocolate and face painting, as well as a special performance from Spokane Civic Theatre's cast of 'Elf the Musical' and the chance to interact with some very special elves all the way from the North Pole! Santa will arrive at 7pm sharp and light the 50 foot holiday tree to kick off the season. This fun event will get you in the holiday spirit! "The price of inaction is far greater than making a mistake."